Abraham Professional Services PC is a full-service Certified Public Accounting firm licensed in Texas. Our CPA holds a valid Texas State CPA Certificate. Alby Abraham is an experienced Certified Public Accountant with several years of public accounting and industry experience. As a Public Accountant he has had the opportunity to serve many industries including manufacturing, oil and gas, construction, and banking. His extensive and varied background allows Alby to bring his range of skills, expertise, and experience to meet the needs of his clients. Alby holds a Master’s degree in Accountancy from University of Houston – Clear Lake where he learned the important impact accountancy has in our world. 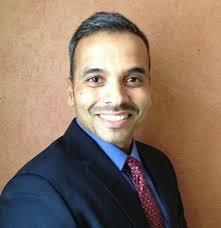 He also holds a Bachelor’s Degree in Engineering and has an extensive IT background. He applies the mathematical and analytical skills attained from these disciplines in his accounting profession differentiating him from other accounting professionals.